You'll be hooked by the fishing tackle themed print on blue flannel with brown accents. 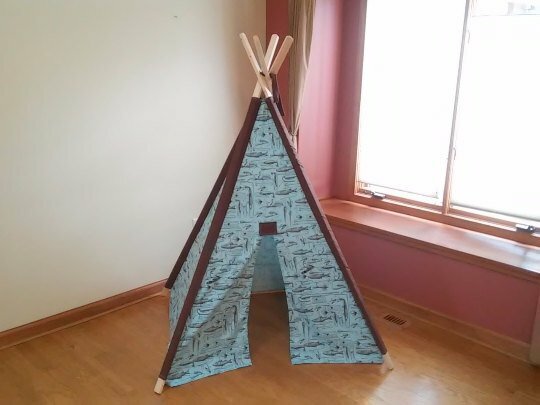 This Fishing Tackle Print Kids Teepee is ready to ship for you favorite little outdoor enthusiast. Our tents are handcrafted with serged seams for years of enjoyment. Planed and sanded pine poles are included with all of our tents!